….and the faster, the more powerful, the more expensive and the more luxurious, then even better. I am talking about cars, what did you think? As the city planners somehow did not count with pavements for pedestrians and the city is quite large, it is really understandable, that everyone in Abu Dhabi drives a car. Or almost everyone. 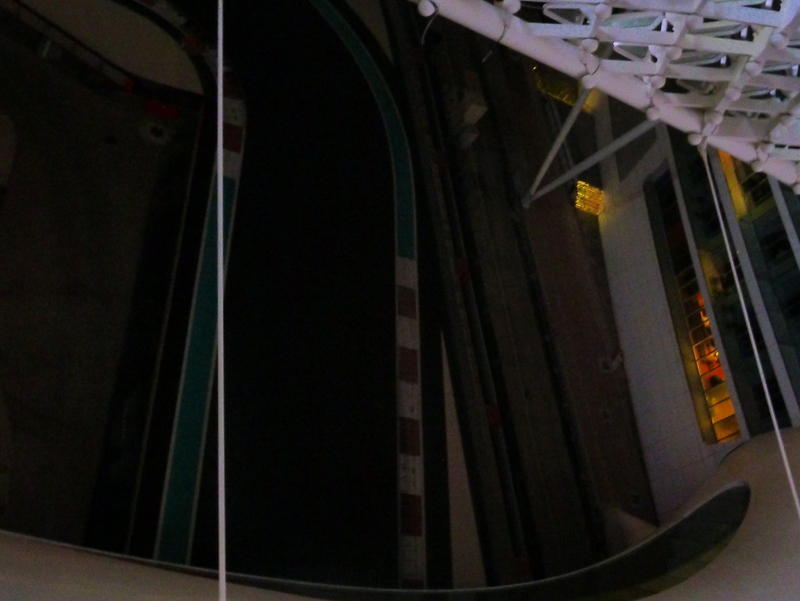 Last Saturday I accidentally ended up in a hotel which is built virtually above the Formula 1 racing track. And there in the garage, there were this many Ferraris parked. Yeah, those ones in the back are Ferraris, too. But none of them was red. 🙁 BTW, Formula 1 race is in Abu Dhabi next weekend, but, unfortunately, I somehow did not manage to buy the tickets. ← SAE: Je ti zima, dievčatko?